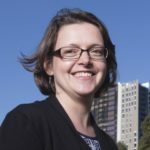 Biographical Information: Hazel Easthope is an Associate Professor and UNSW Scientia Fellow at the City Futures Research Centre at the University of New South Wales. She has qualifications in sociology and human geography and researches in the areas of urban studies and housing. She has a particular research interest in residential satisfaction and the intersections between mobility, identity and home. Much of her research focuses on the development, management, governance and planning implications of private apartment buildings and estates and the lived experiences of their residents. Her interests in this area span property title and ownership structures, estate governance and management, urban renewal and housing redevelopment, building retrofits and upgrades, and resident relationships. This paper addresses the challenges facing the strata sector in Sydney in the context of current Australian metropolitan planning strategies promoting increased urban consolidation. It argues that the current focus on higher density development is vulnerable to challenges of regulation, representation and termination in strata developments. Furthermore, the increasing size and complexity of strata schemes as well as the existence of ageing strata stock are placing pressure on the strata title system in NSW . The concept of ‘governance’ provides one mechanism for improving understanding. Funders: This report is based on research undertaken with Australian Research Council Grant LP0989373 with support from Strata Community Australia (NSW), NSW Fair Trading, NSW Land and Property Information, the Owners Corporation Network of Australia Ltd. , Lannock Strata Finance and Macquarie Bank. 1. To explore the role, capacity and effectiveness of owners corporations as agencies of property governance and management in contemporary urban Australia. 2. To explore the capacity and effectiveness of strata managing agents as mediators of outcomes for residents and owners in the sector, and their role and function within the overall structure of management and governance. – Home modification needs in strata schemes identified by residents, peak body representatives and other professionals. – Existing policy and legislation that affects the process of undertaking home modifications in strata titled properties. – Challenges in undertaking home modifications and opportunities for change. The aim of this project was to explore equitable and viable solutions to what has emerged as a fundamental issue facing Australian cities in coming decades: how to effectively, efficiently and inclusively redevelop older areas of privately owned multi‐unit strata titled housing to achieve the higher densities needed to accommodate population growth without exacerbating social inequalities and collateral social disruption. The research therefore addresses questions of both feasibility and equity regarding the termination and renewal of strata schemes. Of the 18% of Australians 50 years of age and older who moved between 2006 and 2011, it is estimated that around half had downsized by number of bedrooms. The majority downsized into private housing in the general community and around one fifth into retirement villages. This paper compares the demographic characteristics of these two groups, circumstances leading to moving, considerations made in their choice of accommodation, difficulty of the moving process and their satisfaction with the outcomes. This paper makes particular reference to the implications of this debate in the greater Sydney metropolitan area, which raises universal issues regarding tensions between the government and the market and between individual rights and the collective good. This paper argues that there is a case for changing the legislation, with government involvement required to respond to the significant social issues raised, to guarantee the needs of existing owners and tenants are met, and to ensure that high quality, economically viable, buildings result. This document reports on the findings of research carried out by the City Futures Research Centre at the University of NSW into the management of major repairs and maintenance of common property in residential strata properties (containing three or more lots) in New South Wales. This is the first report to outline the attitudes and experiences of strata owners towards planning for major repairs and maintenance in NSW. This paper demonstrates the impact the actions of developers during the design and build phases of multi-unit residential developments can have on the quality and effectiveness of the on-going management of developments. The findings presented are drawn from a large research project that included interviews and surveys with property owners, executive committee (body corporate) members, strata (property) managers, and peak body representatives about the management of strata schemes in the state of New South Wales in Australia. Funders: This research was funded by the Australian Research Council under the Linkage Grants Program (LP0989373). The project partners for the larger project were Strata Community Australia (NSW), the Owners Corporation Network of Australia, NSW Fair Trading, NSW Land and Property Information, Lannock Strata Finance, and Macquarie Bank. The article argues there has been a devolution of responsibility to the “private governments” that manage strata schemes, without sufficient support and training. To address this challenge, and realize the potential benefits afforded by the increasing availability of retired volunteers, increased support is essential to encourage better property management and underpin the good governance of urban areas. This article presents an innovative analysis of Australian Census data that identifies lower income households with children as a significant sub-sector of the resident apartment population, geographically concentrated in the lower value middle-ring suburbs of Sydney. An examination of one middle-ring urban renewal site (the Sydney Olympic Park site) provides evidence to suggest that new residential developments adjacent to areas dominated by an apartment market with a significant proportion of lower income families with children are themselves likely to see an influx of these households. Paul Mees’ urban ideal counted on watchful, confident and well-informed citizenry to work collectively in a quest for fair and just cities. As such, The Public City is largely a critique of neo-liberalism and its arguably negative influence on urban prospects. As Mees explained it, neo-liberal urbanism was much more than a political aberration; it was a threat that imposed many costly failures in an age overshadowed by grave ecological challenges. This chapter is Bill Randolph and Hazel Easthope’s strata-related contribution to this collection. In this report we provide a review of Australian and international literature on issues faced by people living in higher density. Our focus is at the level of resident experience and at the scale of the building or development. This review is supported by the input of a range of stakeholders with an extensive knowledge of these issues who participated in a workshop discussion in Sydney (see below for a list of participants). We investigate these issues with regard to the lived experience of residents in higher density dwellings across tenures and forms of housing provision. Based on findings from two recent research projects funded by the Australian Housing and Urban Research Institute, this paper explores why most older Australians remain in their own homes, why those who do move or downsize do so, into what types of dwellings and tenure, and how they go about this process. The findings challenge conventional understandings of both housing utilization and downsizing. downsizing in the Australian context including: the extent of downsizing amongst older Australians; who downsizes and why; what is involved in the process; what are the outcomes; what obstacles discourage downsizing; and what policies could facilitate downsizing where appropriate and desired by older people. This paper discusses the findings of a recently completed AHURI research project on downsizing involving analysis of ABS data, and a national mail survey together with in-depth interviews and policy forums in three states of Australia (New South Wales, Victoria and South Australia). Based on the survey findings and ABS analysis it provides an estimate of the extent of downsizing in Australia. It then explores how downsizing is conceptualised in the academic and policy literature as well as in the popular understanding of the older participants in the survey and interviews. So that the City of Sydney can identify how it might best support communities’ social wellbeing associated with environmental, economic and social changes, it is essential to collect information about the experiences and desires of residents and workers. To this end, this report presents the results of a community survey of residents and workers in the Green Square Urban Renewal Area in Sydney, Australia. The impact of housing on students’ wellbeing has recently gained much media and political attention in Australia. The dire situation of students living in overcrowded housing was, for example, highlighted by State MP Cr Clover Moore. This paper presents a typology of housing options available to students in metropolitan Sydney, as well as an overview of the complexities of the student population in Australia. Our typology will assist policymakers and practitioners to target particular housing pathways where interventionist housing policies and action will have the most impact. facilitating ontological security. Less consideration has been given to the experiences of private tenants. This paper draws on findings of a study on security of occupancy to discuss private renters’ ability to exercise control over their dwellings in Australia vs. Germany. It discusses the limitations of Australian legislation, within its policy, market and cultural context, in enabling private tenants to exercise control. Title: Losing Control at Home? Published: In R. Freestone and E. Liu (eds) Place and Placelessness Revisited, Routledge: New York, 108-119. Two significant changes in housing patterns have impacted on the ability of people to become attached to, and identify with, their dwelling because of tensions between these ways of living and dominant cultural representations of the dwelling as home. These are an increase in multi-unit property ownership and long-term private renting. However these phenomena need not necessarily result in people feeling less attached to their dwellings if dominant social norms and constructs of the dwelling as home, and home ownership in particular, are challenged. The next few decades will see a significant increase in high density development in strategic centres in Australian cities, if current city plans are put into practice. The social consequences of this shift towards higher density are profound and will have a significant impact on Australian cities’ social sustainability. This research provides insights into how people use spaces socially in high density, and which kinds of spaces are likely to facilitate the maintenance of weak ties. These findings can inform the design and planning of socially sustainable high density areas.